I was asked by a costomer to make her a couple of pillows for her new sofa, she wanted stars and planets. They are simalar but not the same. I pieced three stars for each pillow before making the background for the appliqued stars and planets. I later quilted a star design over the pieced star. I machined appliqued rhe planet then later quilted a design over it. I quilted lots of background planets and stars on the background. The zippers on the back anr hidden away to keep the pillow soft. 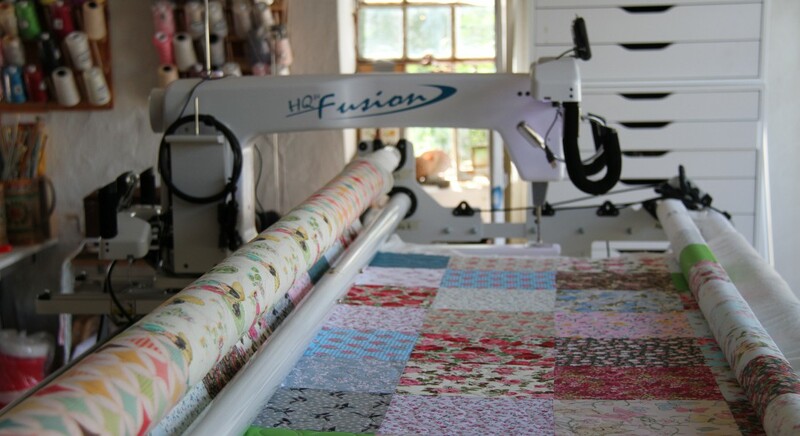 < Wow, 10% off all Pantograph Quilting! !